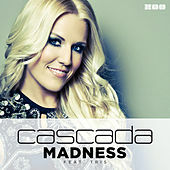 Cascada were formed in Germany when Natalie Horler joined forces with DJ Manian and Yanou. Natalie's love of music came from her jazz musician father -- she used to practice singing Disney numbers and copying jazz classics in the home studio before rounding out her performance skills with dance lessons and acting. This portfolio no doubt helped in the crafting of Cascada's famously high-energy live performances. They are best known for their hits "Miracle" and "Everytime We Touch."